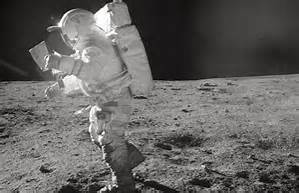 The late Dr. Edgar Mitchell was the sixth man on the moon. He was also the founder of the Institute of Noetic Sciences (IONS) and the first chairman of Eternea, Inc., the non-profit organization founded by Proof of Heaven author, Dr. Eben Alexander. Dr. Mitchell’s life and convictions are worth examining if we harbor any doubts about the compatibility of science and spirituality, including belief in the afterlife. Dr. Mitchell passed to the other side at age 85 on February 4, 2016, a date that coincided with the 45th anniversary of the Apollo 14 flight (January 31 – February 9, 1971), on which he was the lunar module pilot. He held a doctorate of science in astronautics and aeronautics from MIT; when he completed test pilot training at the Aerospace Research Pilot School at Edwards Air Force Base in 1966, he was first in his class. He served on the support crew for Apollo 9 and as the backup lunar module pilot for Apollo 10 prior to his role with Apollo 14. Another man who has given most of his professional life to science and rationality, who may now be better known than Dr. Mitchell, is Dr. Eben Alexander, the surgeon who survived a deep coma, had a near-death experience, and published Proof of Heaven in 2012. With John R. Audette, MS, Dr. Alexander founded Eternea, a research organization that “seeks to provide convincing scientific evidence that the continuity of consciousness beyond the body is real and that an enduring aspect of it is eternal just as our mystical, wisdom, spiritual and religious traditions have been claiming for millennia.” Dr. Mitchell served as Eternea’s first Chairman. Those who are skeptical about our survival after death would be well-advised to take a look at the work of these men and these reputable organizations.